Every year, Fortune magazine lists the 500 most profitable corporations in the United States and calls them the “Fortune 500.” To be included in the exclusive list is widely considered as a mark of prestige among big companies, their respective industries, as well as the general workforce. UK-based company Digital ID analyzed data from Glassdoor to find out what it’s like to work for the world's biggest brands. Glassdoor is an online platform where employees can rate and write reviews on companies and their management anonymously. Digital ID found that Alphabet Inc., an Americal multinational firm and the parent company of technology company Google, gives out the most generous compensation and benefits packages to their employees. It also ranks fairly high—number 2—when it comes to work-life balance. However, Digital ID also noted that candidates have to undergo a tough and stringent process before they could enjoy these benefits. According to the research, Glassdoor users found Alphabet Inc.’s interview process to be the toughest among all the companies included in the list. It is followed by Dutch energy firm Royal Dutch Shell and American electronics company Microsoft at the second and third spots, respectively. 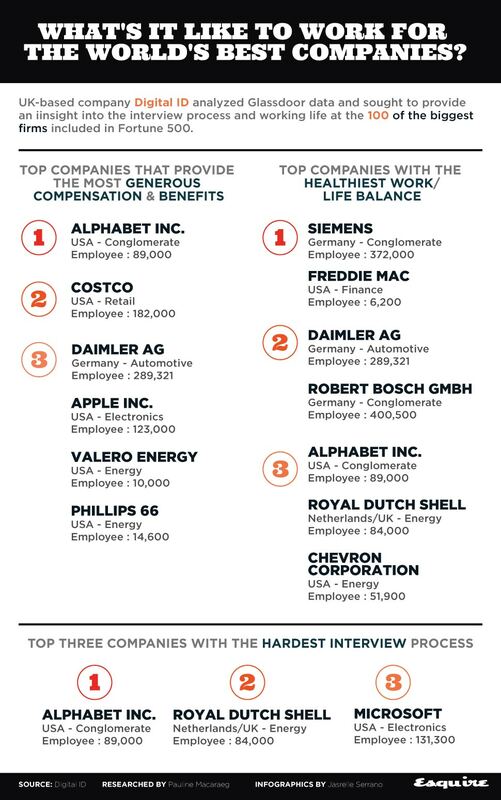 In contrast, the companies that recorded the lowest points in interview difficulty belong to the lower half of the spectrum in terms of compensation and benefits: Kroger, Walgreens Boots Alliance, CVS Health, The Home Depot, Walmart and Carrefour were named the easiest companies to interview for, but they were also grouped in the bottom 22 in terms of salary competitiveness. 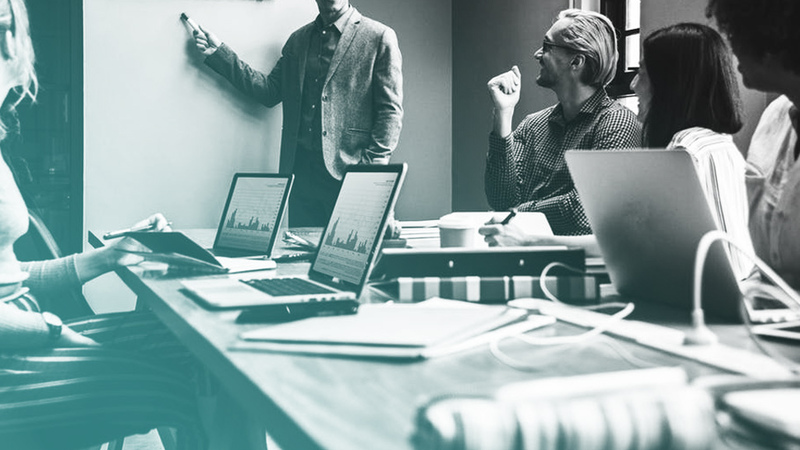 Digital ID analyzed information available on Glassdoor and ranked the 100 of the biggest companies included in the Fortune 500 based on five metrics: work/life balance, compensation and benefits, CEO approval, interview difficulty, and interview experience. See infographic above to know more.